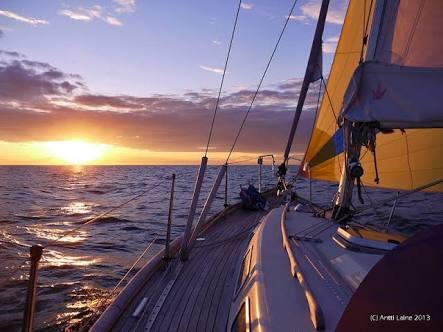 20 odd years ago, my former husband Scott Davis and I quit our highfalutin jobs in Boston, bought a 45′ ketch and set sail for the horizon and beyond. The word extraordinary doesn’t even begin to explain our adventures. We shoved off for points unknown from our base in Newport, RI, sailed over to Bermuda and then blasted down to the Caribbean – checking out every island in the Eastern Caribbean Island Chain until we ran smack dab into South America – where our daughter Lily was conceived in the cool, green waters of Venezuela. I’m shopping now and Jimmy Buffet’s song, “Changes in Latitudes, Changes in Attitudes,” (see link below) came over the loud speakers, causing tears of joy to came cascading down my face. It opened my heart even more for Scott who I’m happy to say is still my friend, and brought to the fore the amazing adventures we have shared and the incredible daughter we still do. It is true that the lower the latitude, the higher the attitude, at least for this gal. And hearing the sailor’s sailor Jimmy Buffet croon about life at sea, brought me right back to that experience and made me realize that I so want to do it again. This time, with a daughter who is now born and thriving, and a lover Jason who defies description for his endless curiosity and daring – which are key ingredients when embarking on a sea going voyage.